We all love to treat our cats and lavish them with delicious rewards, but as owners, we need to be careful what we give them, and how much. With so many different types available these days, you’re probably wondering what the best cat treats are! Cat treats can also help your cats with different parts of their life. They can promote good behavior, training, dental hygiene, even health. As responsible owners, we need to also think about what is in the treats we give our cats as well. In this article we will be assessing the best cat treats available, whatever you are using them for. Why Should You Give Your Cat Treats? Cat treats can be used to promote anything from healthier teeth, bones, fur, breath, the list goes on! They are an important part of a cats life, and better yet, they love them! Cat treats are a fantastic way to reward good behavior in cats, which can be invaluable when training them from anything from using a litter tray to getting through a cat flap for the first time. The best cat treats are the ones which will bring even the most independent-minded cat running to you! However, you should note that, no matter how much you love treating them, cat treats should never make up more than 10% of a cat’s total diet, as they are more calorific than regular cat food. You should also be aware that you should never feed a cat a human treat. Although chocolate, grapes, and raisins are bite-sized and delicious for us humans, they can be deadly if given to cats! You should stick to treats that have been specially designed with cats in mind, and thankfully there is a wide variety available. See below for some of the best cat treats by category (dental, health, etc.). Cats used to take care of their teeth in the wild by chewing on grass and bones, but not every cat gets the chance to do this now. Nevertheless, oral hygiene is incredibly important. Pets will build up plaque and tartar on their teeth, and this can lead to other conditions such as tooth decay, gum disease and not to mention bad breath! But assuming you don’t have a cat who will let you clean their teeth, you will need to use other incentives. The best cat dental care treats to keep your pet’s smile bright and shiny. Made with natural salmon flavoring, these chews are antiseptic and abrasive, which means that they tackle oral hygiene at the route of the problem: in the build-up of bacteria. They are made from freeze-dried fish and also contain important enzymes which halt the further production of plaque. Eradicate your cat’s bad breath with these chews! Ingredients: Freeze-dried fish, dextrose, antioxidants, glucose oxidase, and dried whey protein concentrate (check details here). Another way to promote healthy gums is to give your cat something they can really sink their teeth into! A dental chew stick is often the best way to do this. This engages their brains as well, as they will be required to put in time and effort into chewing. 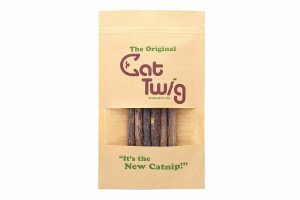 Organically sourced, this dental chew stick is made from silvervine and induced with catnip to make sure that your cat will definitely want to get their paws (and teeth) on it! The bark of the stick provides a natural surface on which their teeth can grind away any build-up of plaque. Eco-friendly packaging means you can also consider the environment while treating your cat. Sometimes, the best cat treats are ones that supplement a meal. Cat kibble bits are intended to go on top of a portion of cat food. You might do this to encourage a cat with a smaller appetite, or one which is unwell, to eat. It can also give fussier ones something irresistible to eat when switching food brands (or masking some medication), or even just to reward them! A lot of brands market these as meal enhancers, and it’s not hard to see why! 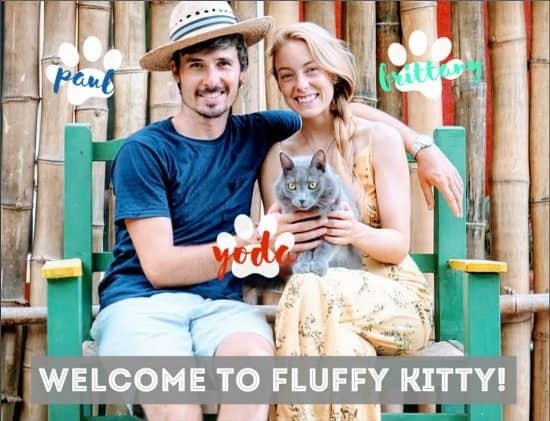 Having expounded the virtues of Instinct Nature’s Variety and their RAW range of products before, their freeze-dried boost mixers are the perfect complement to any cat food which all cats will love. Whether as a cat food topper or a cat treat, the Instinct raw boost mixers cat treats deserve a spot in the all-around best cat treats! These treats are often snack-sized and can help cats who lack essential oils to keep their coats naturally glossy. A cat’s coat health is usually the first indication of their overall health, so it is important that you make sure that they look well. A healthy cat treat that helps with fur health typically contains a high level of vitamins and oils. This also means that you should be careful to portion the amount you give them. Older cats often develop arthritis and will need some additional supplements to avoid too much joint pain when they move. This can also happen with larger cats, and it’s a vicious cycle: cats with a lower mobility will do less exercise and thus will inhibit their ability to move. Again, treats containing natural oils can be a great way to alleviate pain without having to use medication. These salmon filet treats look so good you might be tempted to try them. Caught in the wild, they don’t come more organic than this! 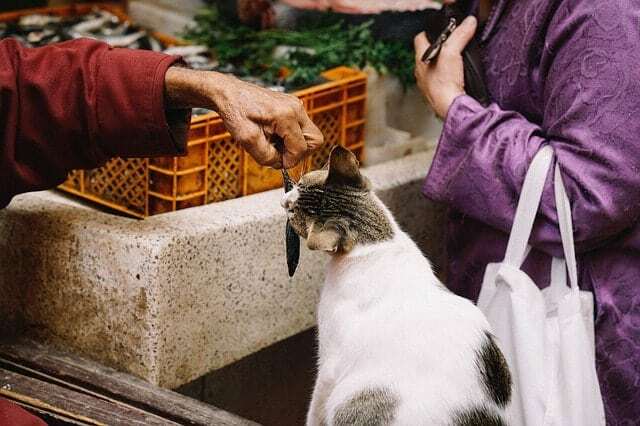 They are freeze-dried quickly after being fished, to preserve the natural Omega-3 fatty acids that the fish are so rich in, and they are bite-sized too so you can portion them out properly. As well as containing a healthy dose of chicken protein, these ‘Smartbites’ from Greenies are loaded with fish oil – which promotes a healthy coat. Owners trying these have reported that cats go absolutely wild for them, so you might need to lock them away somewhere out of reach. We like simple, which is why we prefer single-ingredient treats like wholesome freeze-dried protein or treats which cut out all the unnecessary garbage like corn, wheat, gluten, meat meal, etc. It’s also possible to make your own cat treats if you have the time. Sometimes the simplest foods can make for very healthy cat treats. By simply cooking some liver or fish (not tuna) you can create a tasty, protein-boosting meal. With no additive, you can create an interesting mix of things for your cat to try to stimulate their curiosity, and (hopefully) encourage good behavior! There are so many different types of treats, it can often be hard to know which are the best cat treats, and why. A large number of the treats mentioned above are organic, a key facet of what makes the best cat treats. Organic cat treats normally contain natural ingredients. They may be higher in protein content and contain fewer processed meal-meats and cereals. 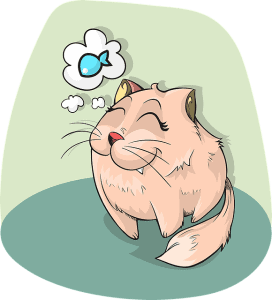 Healthy cat treats, such as organic ones are usually more digestible and better for cats with sensitive stomachs. When shopping for them, you should always be careful with the ingredients. Try to avoid products with too many preservatives, or unnatural colorings, dyes, or flavorings as these can be unhealthy for your cat, and unsuitable in large quantities. 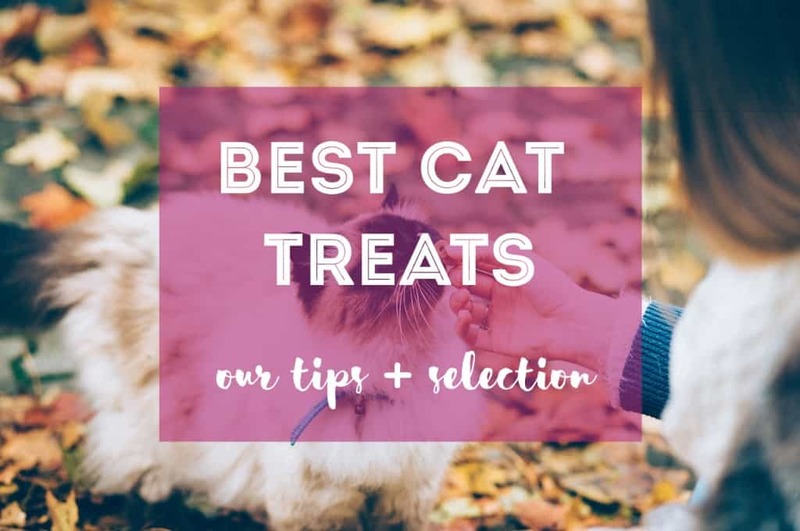 If you’re careful with your buying choices, you can find the best cat treats for your pet depending on what their needs are, as well as what they love to eat. Your cat will thank you for it!